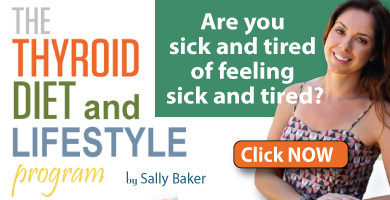 According to my colleague, thyroid expert and patient advocate Mary Shomon, it’s estimated that as many as 40 million Americans may be suffering from undiagnosed or misdiagnosed thyroid conditions. 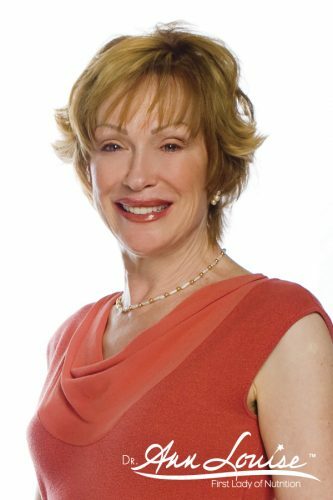 Ann Louise Gittleman, PhD, CNS is a top nutritionist, visionary health expert and bestselling author. She has always been a trendsetter in functional and integrative medicine. Continually breaking new ground in traditional and holistic health, she is internationally recognized as a pioneer in dietary, environmental, and women’s health issues and is known as “The First Lady of Nutrition” among her millions of followers worldwide. As one of the world’s foremost experts in functional and integrative medicine, she holds an M.S. in Nutrition Education from Columbia University, has the title of Certified Nutrition Specialist (C.N.S.) from the American College of Nutrition and a Ph.D. in Holistic Nutrition. Ann Louise has also served as the Chief Nutritionist of Pediatric Clinic at Bellevue Hospital and is the former Director of Nutrtition at the Pritikin Longevity Center in Santa Monica, CA. She has won numerous awards, including The American Medical Writers Association Award for Excellence. Follow her on Facebook, Twitter and YouTube. The original article can be found here. Questions or anything to add about electropollution and the thyroid? We want your thoughts, please. You might just help someone else in need.